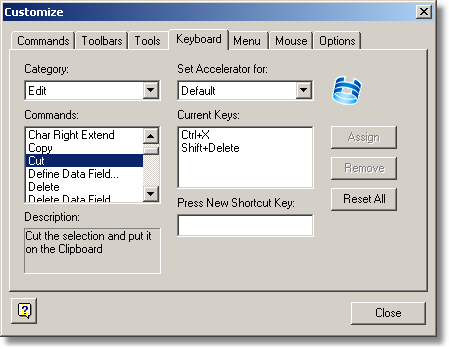 The Tools / Customize command lets you fully customize the FlexHEX user interface. 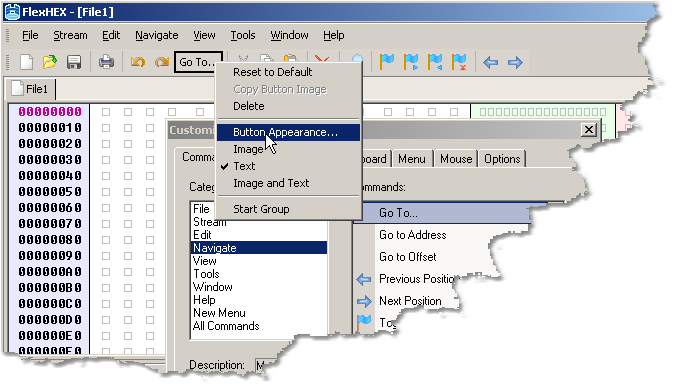 You can customize menus and toolbars, add user-defined tools and so on. If you are familiar with Microsoft Visual Studio, you will find that the FlexHEX customization is very much similar to the Visual Studio Customize feature. The screenshot below shows an example of toolbar customization. The user added the Go To command to the toolbar by dragging it from the Commands pane and right-clicked it to set the button appearance.